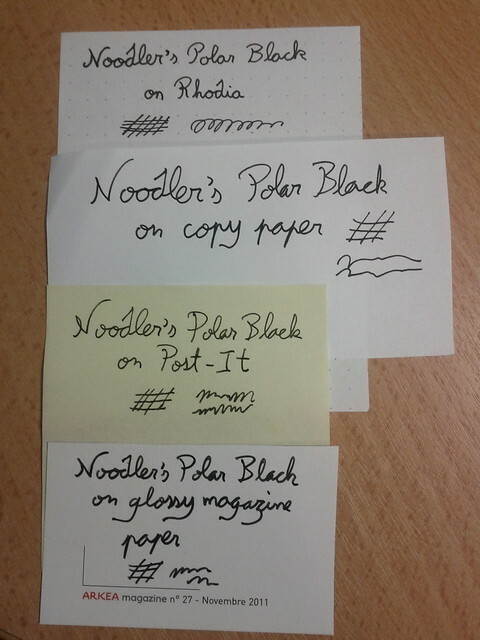 Reading this thread on FPN about Noodler's Black ink, I wanted to make a similar test with my current favorite ink (with Pharmacist's Iron Gall Blue-Black), Noodler's Polar Black. 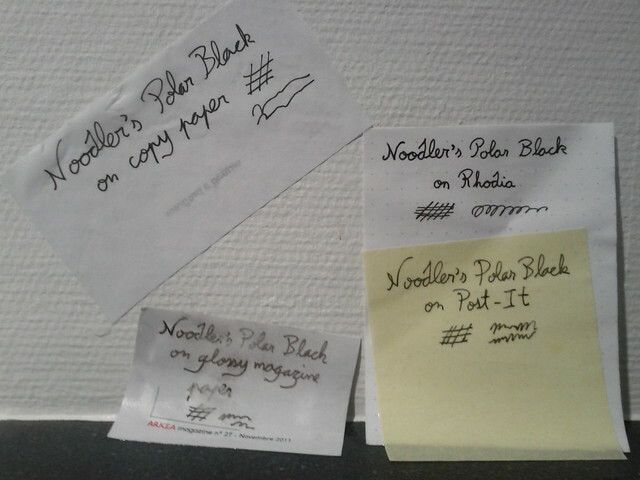 I've used 4 kinds of paper : Rhodia Dot Pad, unnamed office copy paper, PostIt note and a page of glossy magazine paper. The ink is wonderful in all samples besides the glossy paper. Why doesn't it perform great on it? If I understand right, it's because it bulletproofness comes from bonding with cellulose in paper, and in glossy paper there is a layer impermeable between the ink and the cellulose, bonding is way limited. 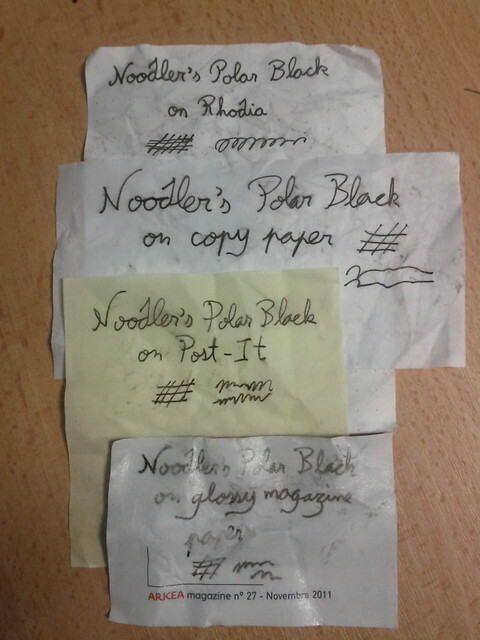 I really love this ink, my ink of choice (with Pharmacist's Iron Gall Ink) for everyday use! I've posted this review on the same thread in FPN.